So it appears I've not had an outfit post for a while! Sorry about that guys. 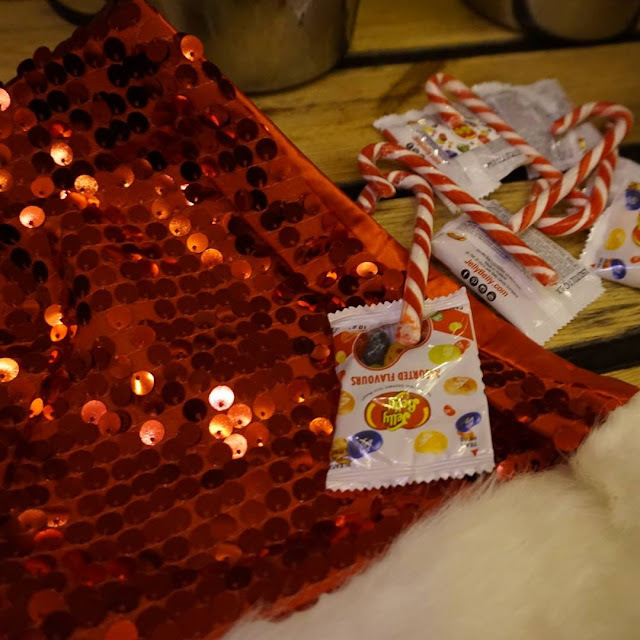 It's been Christmas, for a blogger this includes numerous events, but I hope you aren't too bored of that type of post as I hope to do a few more soon! On to my latest collab with a new brand, Nobody's Child. From the get go this was a different experience from working with other clothing companies. The lovely Ryan rang me to introduce himself and explain what Nobody's Child was about, but also to ask me what I thought of the clothes and if I would be interested in being sent a few pieces. Don't get me wrong, other brands I have worked with have been lovely, but to actually speak to a person and not just via email, was a lovely change. I was given a voucher and could chose anything I wanted (another difference!) and go through the real customer experience. Nobody's Child is fast becoming a big player in the retail industry. As well as working with big bloggers, they have also become a hit with celebs including the massive US girl band Fifth Harmony! This is my first of two posts from the collaboration, I hope you enjoy! 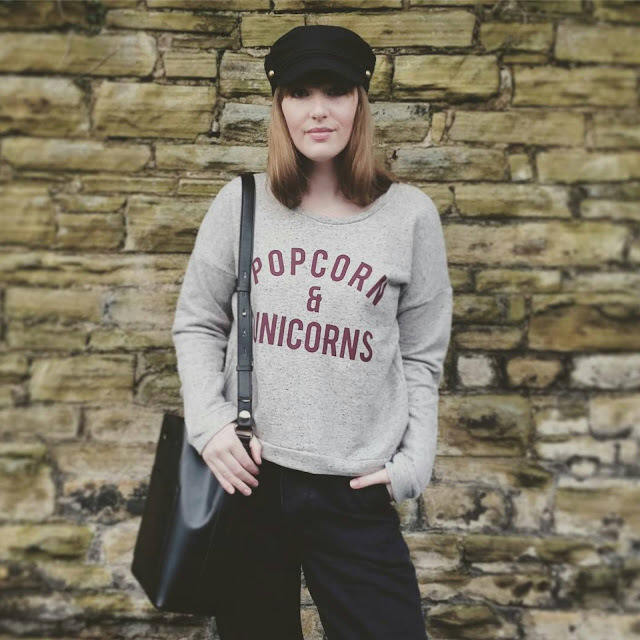 I chose this very cool "popcorn and unicorn" jumper. I wanted to pick something I wouldn't have normally gone for. 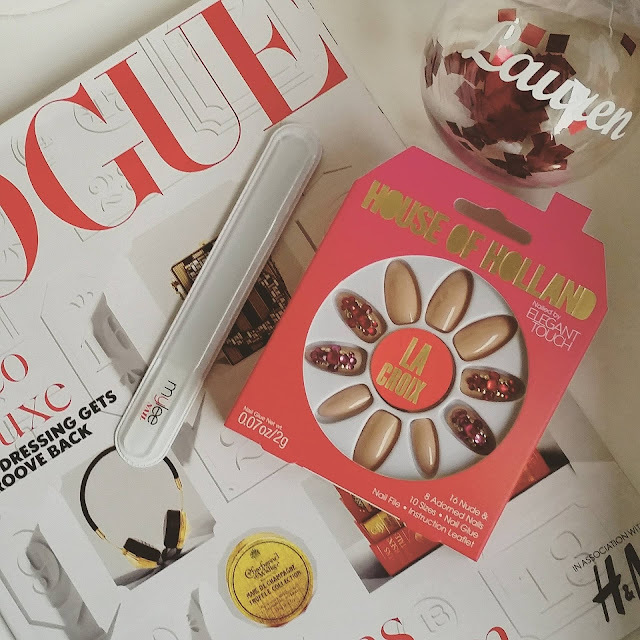 I'm not a massive unicorn sort of girl, but I just loved the fun aspect of the slogan, not to mention the style and cut. 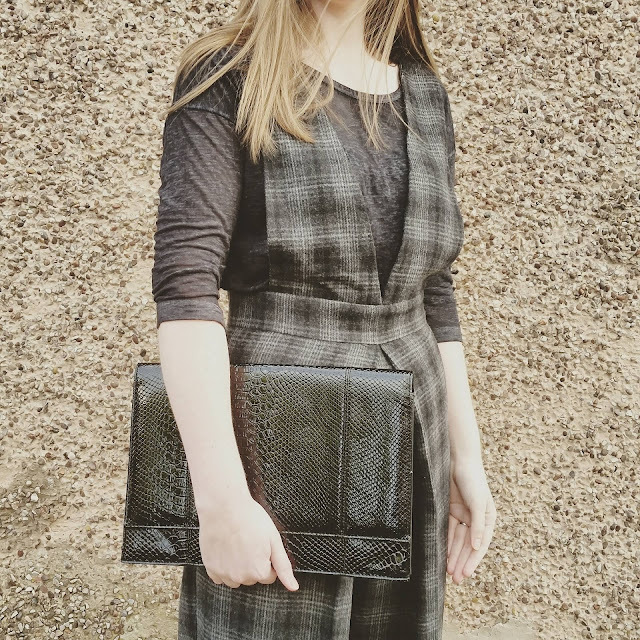 It is now a popular staple in my wardrobe, and I have worn it quite a few times! For this post I chose to pair it with quite a casual outfit. 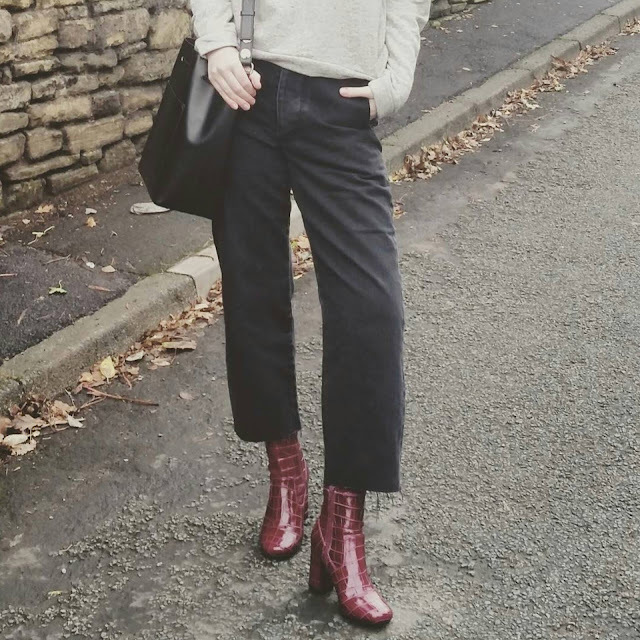 I wore this to go shopping, so it's practical, comfortable but has a nod to a few trends. The cut and quality of the jumper is great. It's quite boxy, so it a modern twist on a classic sweater style. I've has so many compliments when wearing it and it is one of my 'most liked' pictures on my Instagram account! The price is great too, just £15, which is always good when so many people like something. I teamed it with my wide leg cropped jeans, my new River Island dream boots and my new fave bake boy hat. The baker boy has been back for a while, but not many people are wearing it yet. I'm sure this will change now Vogue put Gigi Hadid in one for the latest January Issue! As the title suggests, this post is a bit different to my usual outfit or event posts. 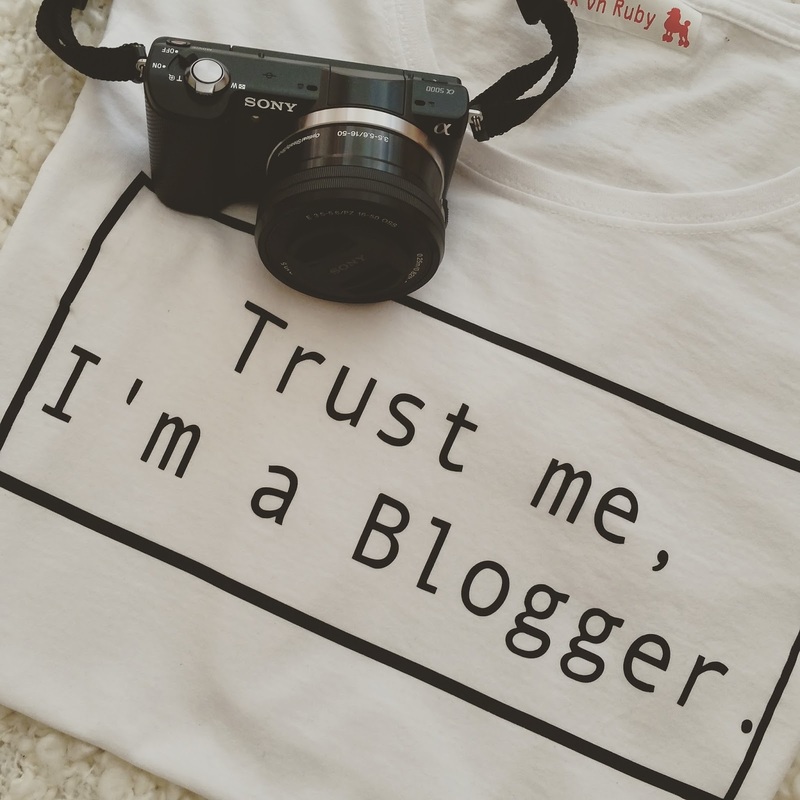 I have often been asked how to start a blog, but this past few months I've been receiving an email almost every day asking for my hints and tips. Most people state they hope I don't mind them asking, well it's actually the exact opposite! I feel so flattered when people think I may be able to help them. That's why I thought I'd write a short post on my tips on starting your own blog. 1) Be passionate; It doesn't matter what subject you want to blog about, as long as you are passionate about it. I chose fashion as I had always wanted to work in the Fashion Industry. When I started I didn't know what career I wanted to end up doing, I just knew I loved clothes. As it turned out, I now write about fashion and it's exactly where I should be, sometimes things just work out. If you think you may want to concentrate on more than one subject; e.g fashion and travel, that's fine too, just ensure that you stick to a select few so your followers know what they are getting. 2) The actual blog: I use www.blogger.com. It's free and VERY simple to use. It very self explanatory, you don't need to be good with computers or coding, it's literally type text and add pictures. After a year blogging, I bought my domain name (www.fashionpanic.co.uk) but this isn't essential. I was working with brands before my domain, I just personally think it looks more professional. 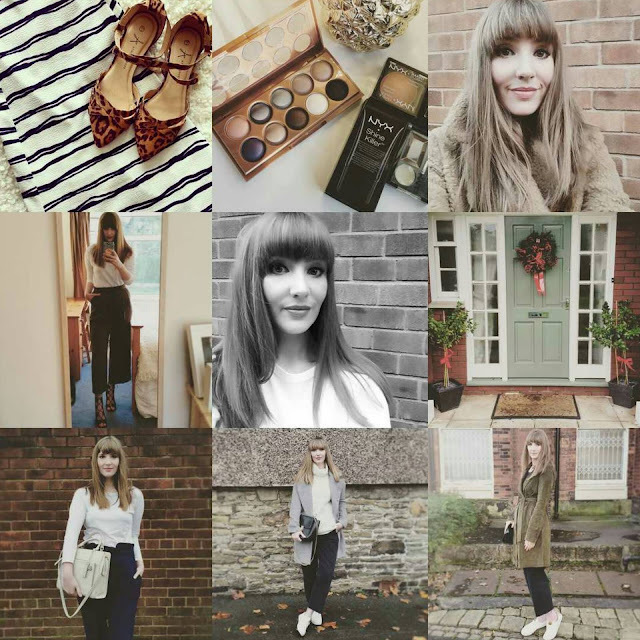 3) Instagram; Without doubt, Instagram is the best way to 'get out there' with your blog. It's how I work with brands, meet new contacts and where I was spotted for my writing jobs. Everyone has different tastes when it comes to Intsgram feeds. Some people love monochrome, minimalistic themes, others love colourful haphazard photos. The one thing popular Instagram accounts have, are that they all post good quality, well thought out pictures. That does not mean you need a camera! Until last month ALL of my photos were shot on my Samsung Galaxy. It just means that the pictures are not blurry, dark, or bad quality. Followers; Gaining followers on IG is an essential part of getting your blog out to brands and PR. Unfortunately this can be a long process. Exactly a year ago today, I had 308 followers. It's taken me a year to get to 6.4k. To some that will seem a lot, to others, not so many. For me it's a lot, and I get to work with fantastic brands and invited to great events. There is no quick and easy way of gaining followers (although some people buy them! watch for the accounts that gain 1000s of followers in hours). The best way is to like pictures, follow accounts you like and to leave comments on pictures. These change daily, so make sure you keep an eye out for new ones! I would love to answer any more questions you may have, you can email me or leave a comment. I hope this has been of some help to you guys who are contemplating starting a blog; just do it, it can change your life! Last Thursday a little blogging dream came true. 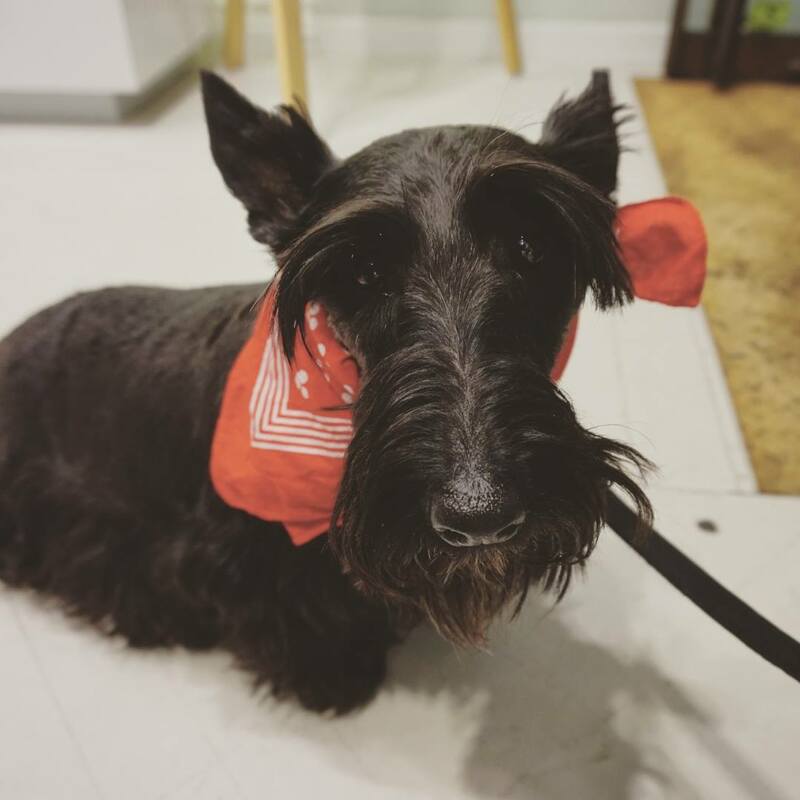 I was asked to a Radley event in Liverpool. When I received the email asking if I would like to join them for an afternoon of "personalisation, presents and fun" how could I say no!? What I couldn't really tell them, was that as soon as I replied to their email, I did a little happy dance around my bedroom (no, I'm not joking). I've grown up with Radley. My Mum, Grandma and Auntie are Radley fans and as a little girl I always remember the little Radley dog on their bags. 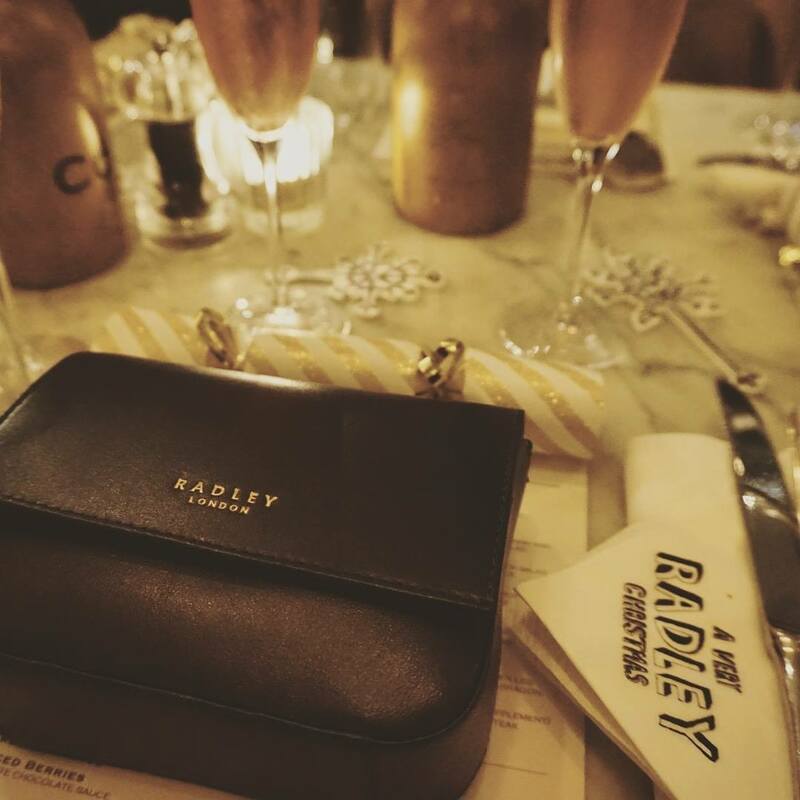 Earlier this year, I was lucky enough to win my first ever Radley bag. It was the beautiful Clerkenwell and it came personalised with my initials. I was absolutely over the moon! I take it everywhere and I get compliments wherever I go. I had been excited for the whole week leading up to the event. 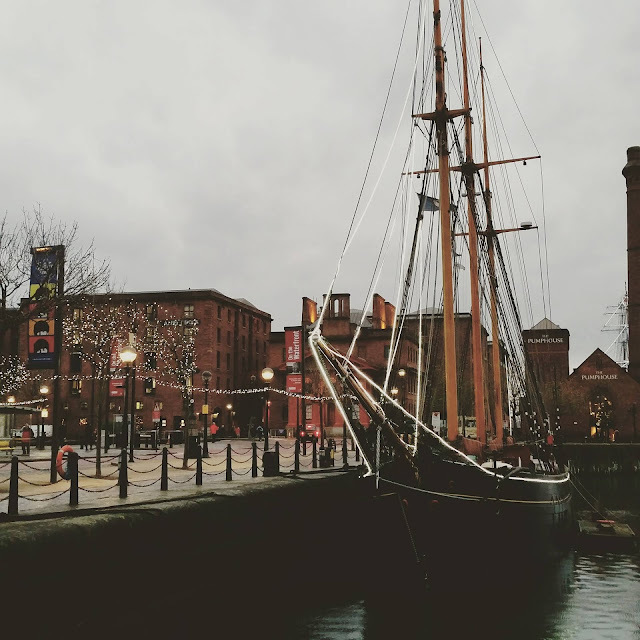 As I live in Manchester, I had also been trying to plan my journey to Liverpool. In the end, my lovely parents offered to take me (yes, I'm 27) so they could drop me off and I wouldn't have problem parking. They had the ulterior motive of getting some Christmas shopping done at the fab Liverpool One. I nervously made may way to Cote, where the event was being held. I don't usually get nervous, but I didn't know who was going, how many people had been invited and also, it's the first big brand that's asked me to an event! I had absolutely no need to have been, as as soon as I walked through the door I was greeted by the lovely PR girls from Radley; Lauren (who is also a fab blogger!) and Shona, who both recognised me from my blog straight and gave me a big hug. I was the first there, but I noticed that we were sat at a small table for 6. The table was beautifully decorated and on each place setting was our very own Floral Street bag! The three other bloggers joined us shortly after (Laura, Jules and Sally) who were all lovely, we were so busy chatting away, we didn't order our food for a good hour! 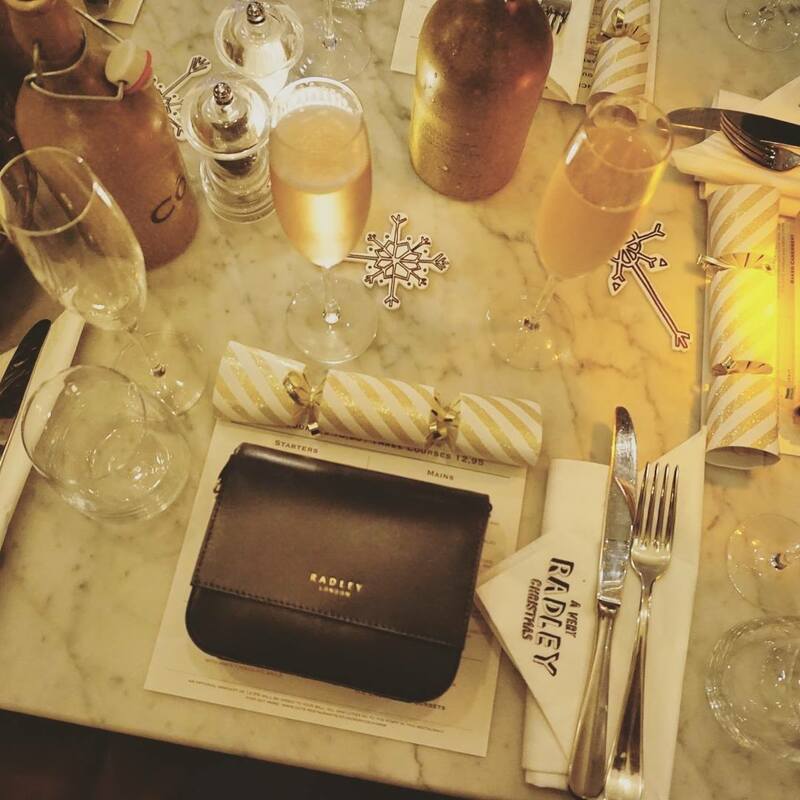 I couldn't believe I had been invited by one of my favourite brands, to an intimate dinner and was sat with five lovely girls. 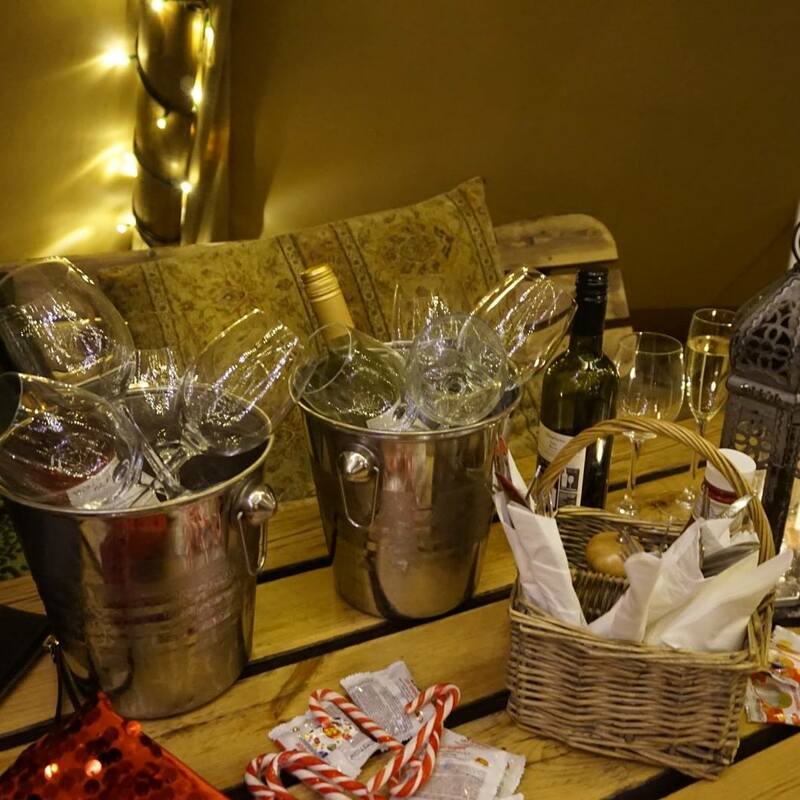 We enjoyed a three course meal and lots of Prosecco, the food was divine! It was so lovely to see the people behind the brand. So many brands these days can be so impersonal, especially with blogging. 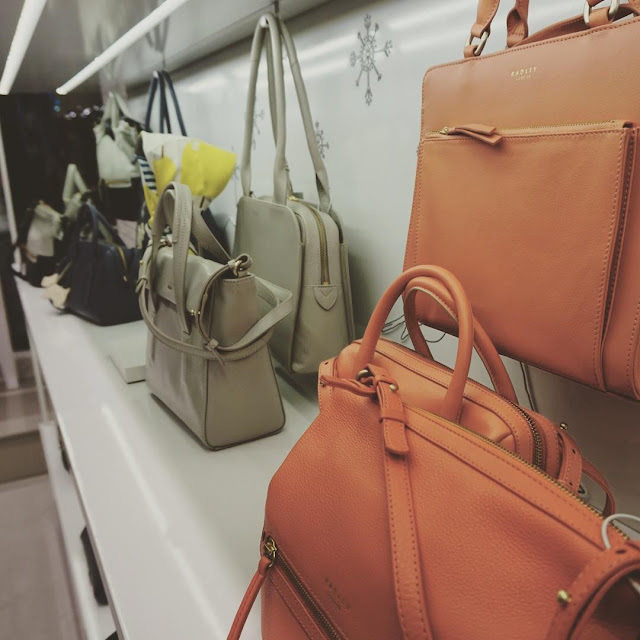 Lauren said they wanted Radley to be different, and to really get to know the bloggers they worked with, and to choose people who genuinely loved the brand. Well I definitely love the brand and like one of the other girls said, I felt honoured to have been invited. 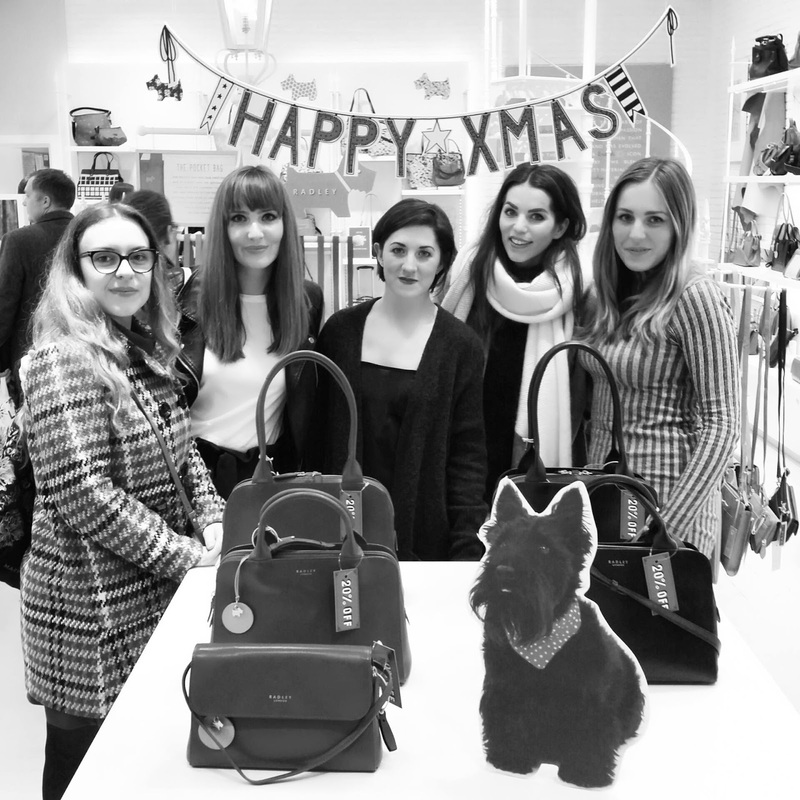 After the food, we made our way over to the Radley store, where we would take a look at the new lines and meet a 'special guest'. Yes, as you've probably realised, it was Radley himself! As a crazy dog lady, this had to be a highlight of the afternoon. He (this particular Radley was a girl) was super cute and had a queue of people waiting to meet him. Before leaving, we were given the best goodie bag I have ever received, which included a beautiful watch, mug and of course my Floral Street baby. It truly was the best experience I have had since blogging. Meeting lovely bloggers and the team at Radley was a great way to spend a Thursday afternoon and I can't wait to work with them again. I don't even have to mention my love of culottes any more. It's an embarrassingly, well known fact amongst my fellow bloggers and even some brands. So it's no surprise I chose to wear them for my 27th Birthday meal out. 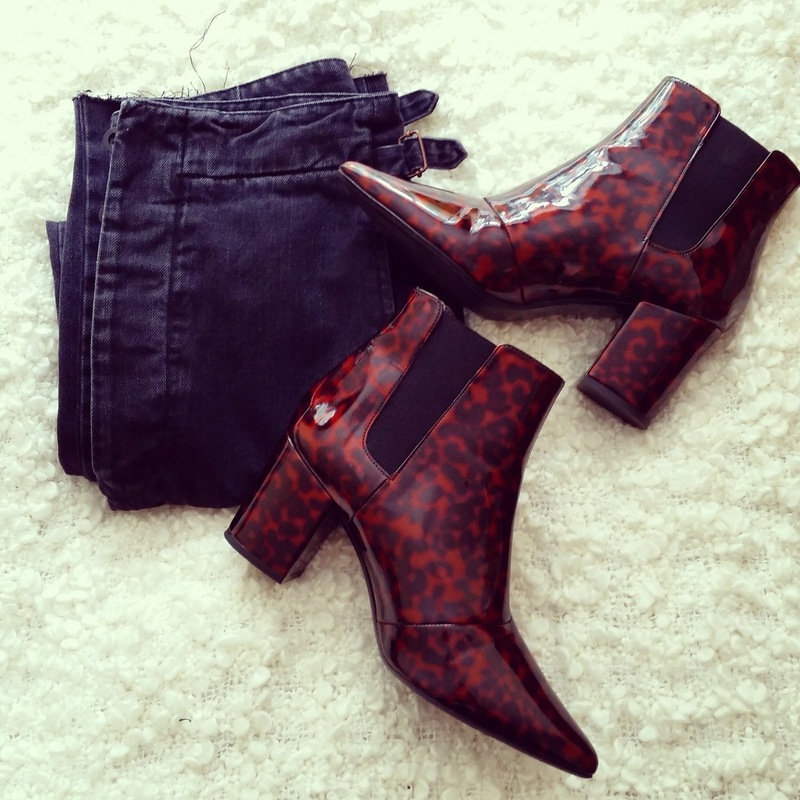 It was love at first click with this beaut from asos. I religiously refreshed the 'new in' page, waiting to find my perfect Birthday outfit, and this ticked all the boxes! 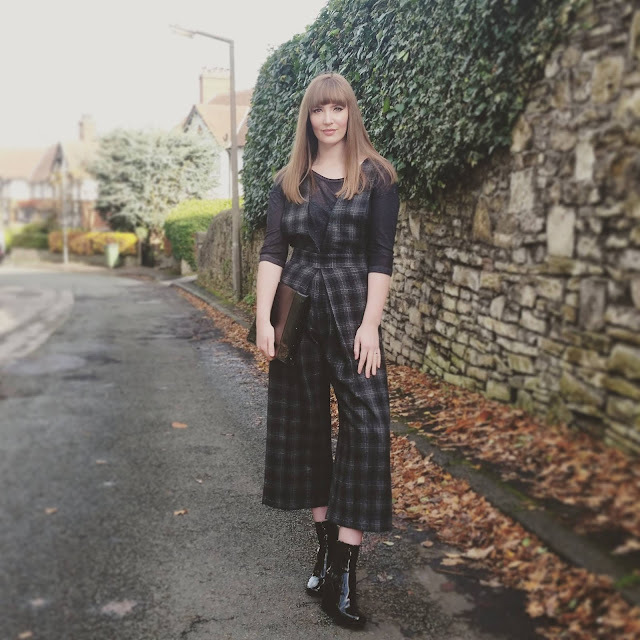 I am not normally a massive fan of jumpsuits, usually because I'm 5"7 and have quite a long torso, which usually ends in the unfortunate issue...near the crotch area (how to put it politely!?) Anyway, this one fit and I felt amazing wearing it! It was a bit more than I would normally spend on one item, but I figured I could team it up with so many jumpers and shirts, that it would be a great addition to my wardrobe. For this occasion, I kept it quite simple. 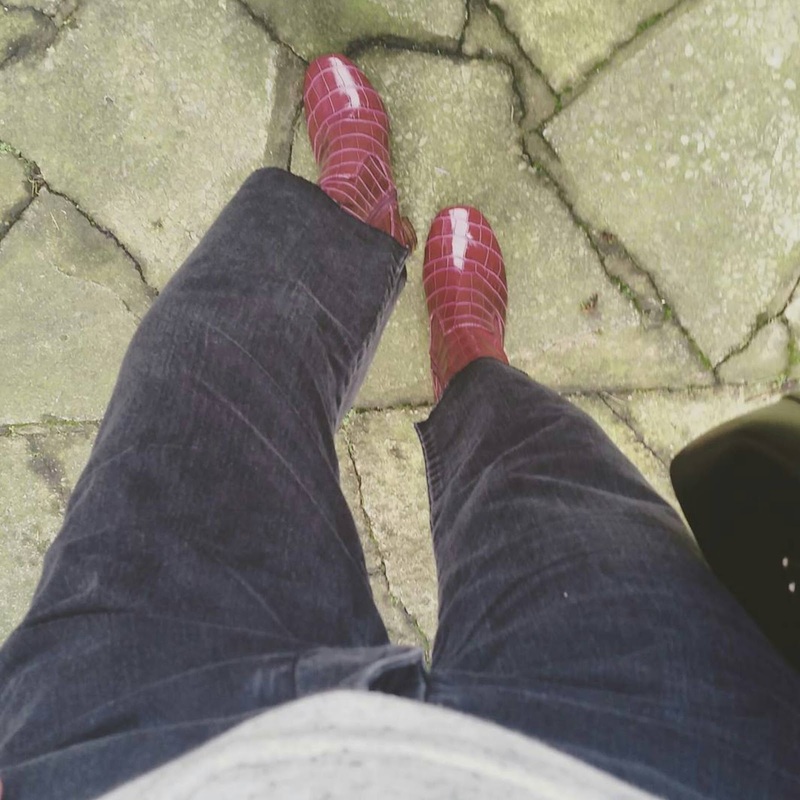 I added a 3/4 length plain t-shirt and my absolute favourite River Island sock boots. 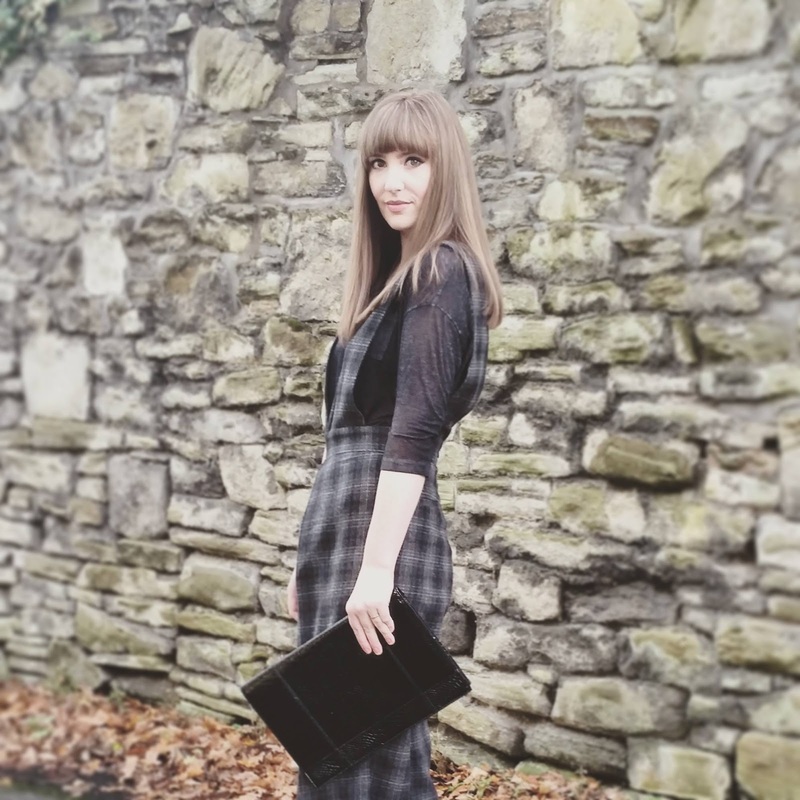 I finished the look with an oversized clutch, as it was a for a meal out, so I wanted to look a bit more dressed up. 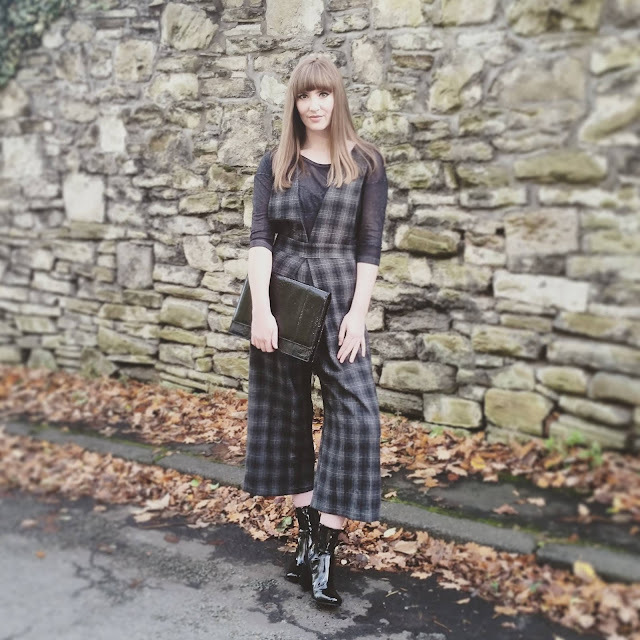 The jumpsuit itself is a great way to add a bit of an edge to your wardrobe. 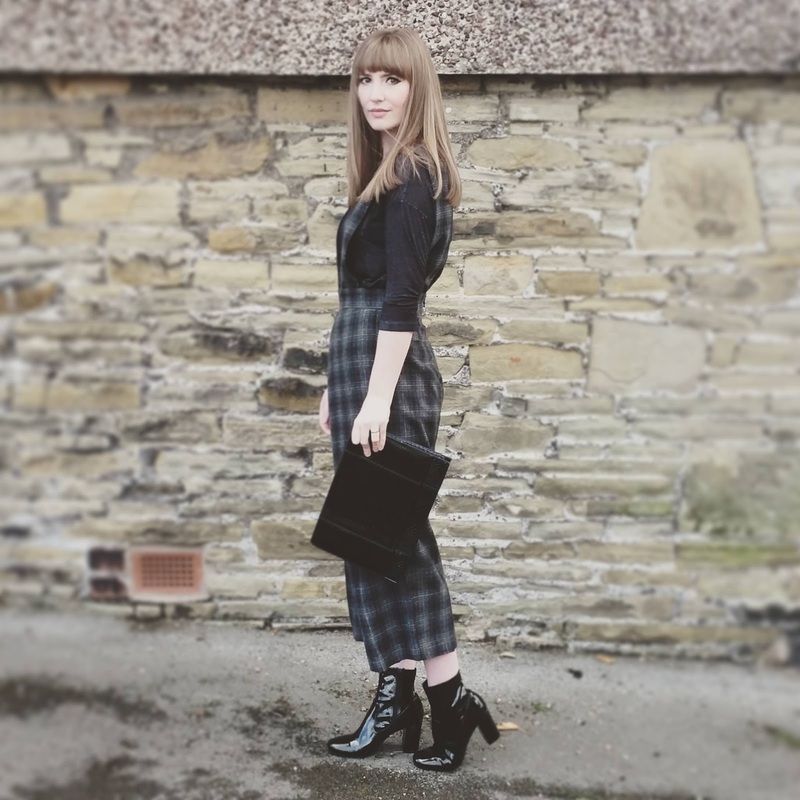 Culottes/cropped flares are bang on trend, and tartan was seen all over the AW15 catwalks. I love the grey and black tones, they make it slightly more professional looking, I would happily wear this to the office with a white shirt. In the same way, it can easily be paired with some trainers and a roll neck and be ultra casual. It's just a great piece and so wearable, I already have lots of future combos in mind, so stay tuned! Have a great week, and happy December! So I may have lived in Manchester for the past 27 years, but when I started to attend events, I realised just how little I know about my beautiful city. My latest discovery was the Oast House in Manchester's Spinning Fields. 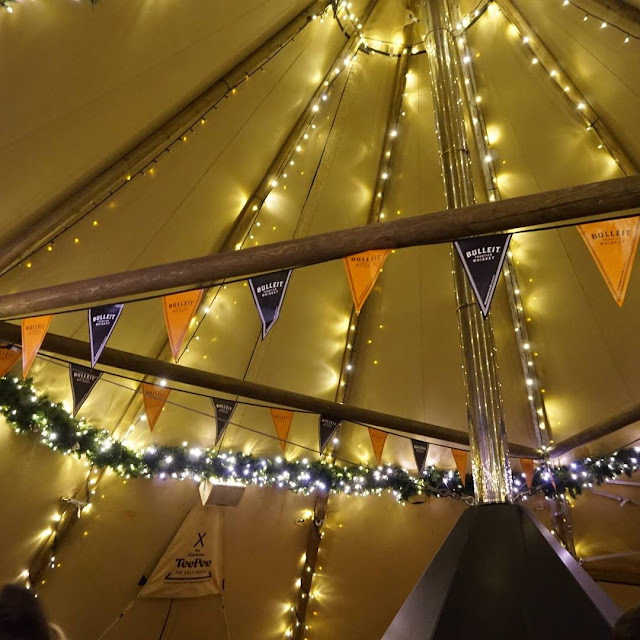 It's such a little gem in the middle of the bustling city, I wouldn't have known it was there if it wasn't for the Tessuti event held in their teepee (yes, teepee!) last week. 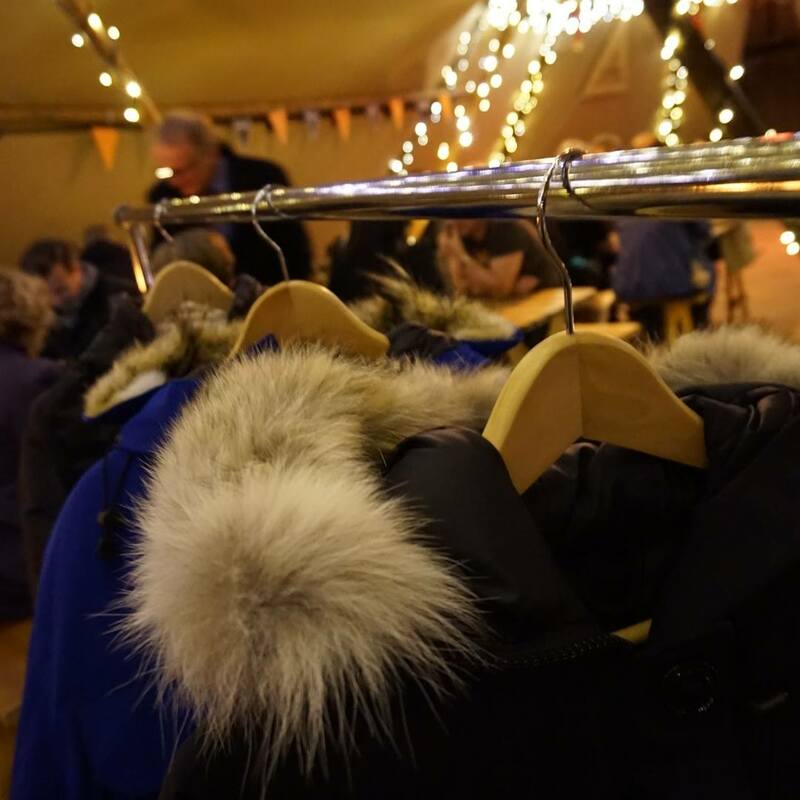 I was invited to have a sneak peak at the Canada Goose range that Tessuti stock, and I couldn't have wished for a better location. To start of with, it's possibly the most Christmassy place I have ever been. It is literally a giant teepee, located just outside the main building of the Oast House. 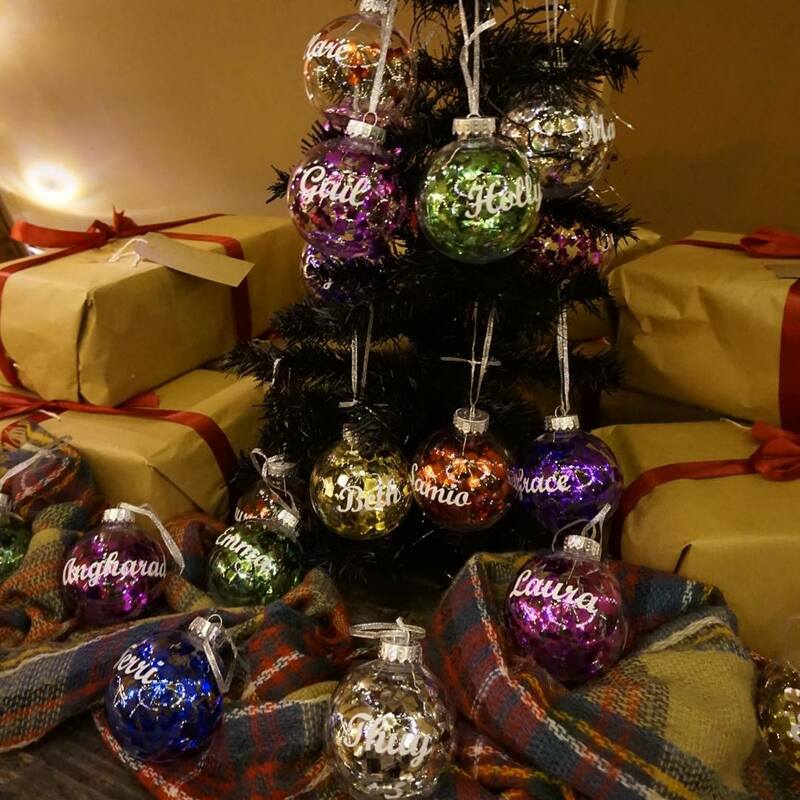 It's covered in magical fairy lights and looks like a grown up version of Santa's Grotto. The smell is overwhelmingly delicious, it hit us as soon as we entered the tent (which is a Tardis and actually huge!). We were then showed to the event which was taped off at the back of the teepee near the fire where the lovely Jenn and Natalie greeted us with prosecco. After a catch up and mingle with my fellow Manchester bloggers, we were served what can only be described as a mountain of kebabs, salad, chips, dips and roasted vegetables and it was out of this world! Not to stop at that, it was then finished off with strawberry and marshmellow, chocolate covered kebabs. I suppose I should have taken a picture of the food, but to be honest, we finished it off so quickly I just didn't have time! To finish off the night, we were given a beautifully wrapped Christmas present and a personalised bauble, which has to be the cutest, most thoughtful gift form a blogging event! The present included some amazing House of Holland nails which are absolutely perfect for Christmas! It was another great night in a great location, with lovely girls. 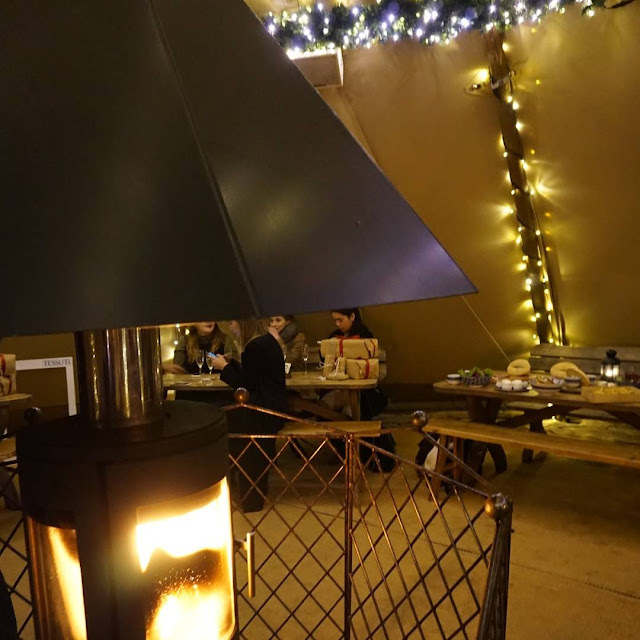 I will definitely be returning to the Oast House and I can 100% recommend it!